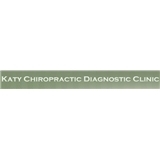 Katy Chiropractic Diagnostic Clinic (Katy) - Book Appointment Online! Since 1983, Vitek Chiropractic has been working with patients to provide the best chiropractic care for patients in Katy, Texas. If you are looking for a chiropractor in Katy, we welcome you to Vitek Chiropractic. We accept patients of all ages and incorporate a variety of techniques to insure the best possible results. Quality Care When you have needs for chiropractic care, you need to turn to a chiropractor who listens and responds…an experienced doctor of chiropractic who knows the field and can effectively diagnose and treat your needs… a friendly chiropractor who counsels you on the best ways to maintain and improve your health. Our doctor[s] of chiropractic meets all these criteria. Plus, you benefit from a dedicated team of trained professionals who give you the individualized attention you deserve. Best Ever! Staff is very friendly, they take care of you!